Preface: The European Cultural Convention is an international treaty opened for signature by the Council of Europe in Paris on 19 December 1954, was effective on 5 May, 1955. Its signature is one of the conditions for becoming a participating state in the Bologna Process and its European Higher Education Area (EHEA). 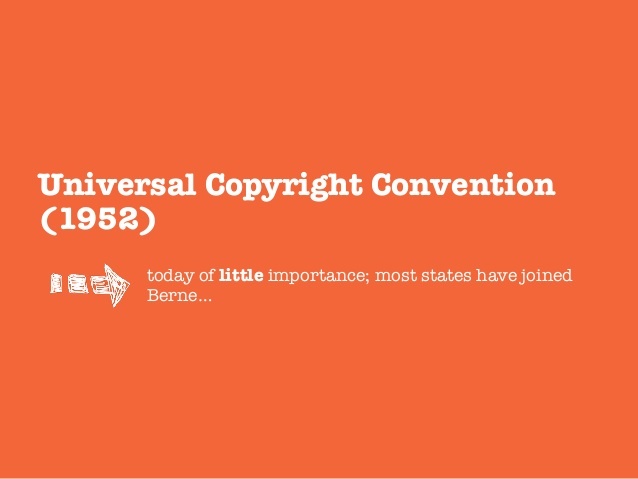 The term “Convention” is used as a synonym for an international legal treaty. The convention has been ratified by all 47 member states of the Council of Europe; it has also been ratified by Belarus, the Holy See, and Kazakhstan. Culture plays a key part in understanding other people and respecting diversity. That is why the Council of Europe in 1954 adopted the European Cultural Convention, which organises co-operation throughout Europe in the areas of culture, education, youth, sport, languages and the transmission of common values. The Convention promotes cooperation among European nations in order safeguard cultural property as well as to study and promote European civilization. The cultural property of the parties to the Convention is regarded as part of the common cultural heritage of Europe. The Convention emphasizes the nation as protector of the heritage not only for its own people but also for the wider community. The Convention encourages exchanges of persons and cultural objects and promotes access to cultural resources. States that are not members of the Council of Europe can participate in the Convention. Each Contracting Party shall take appropriate measures to safeguard and to encourage the development of its national contribution to the common cultural heritage of Europe. endeavour to promote the study of its language or languages, history and civilisation in the territory of the other Contracting Parties and grant facilities to the nationals of those Parties to pursue such studies in its territory. The Contracting Parties shall consult with one another within the framework of the Council of Europe with a view to concerted action in promoting cultural activities of European interest. Each Contracting Party shall, insofar as may be possible, facilitate the movement and exchange of persons as well as of objects of cultural value so that Articles 2 and 3 may be implemented. Each Contracting Party shall regard the objects of European cultural value placed under its control as integral parts of the common cultural heritage of Europe, shall take appropriate measures to safeguard them and shall ensure reasonable access thereto. Proposals for the application of the provisions of the present Convention and questions relating to the interpretation thereof shall be considered at meetings of the Committee of Cultural Experts of the Council of Europe. Any State not a member of the Council of Europe which has acceded to the present Convention in accordance with the provisions of paragraph 4 of Article 9 may appoint a representative or representatives to participate in the meetings provided for in the preceding paragraph. The conclusions reached at the meetings provided for in paragraph 1 of this article shall be submitted in the form of recommendations to the Committee of Ministers of the Council of Europe, unless they are decisions which are within the competence of the Committee of Cultural Experts as relating to matters of an administrative nature which do not entail additional expenditure. The Secretary General of the Council of Europe shall communicate to the members of the Council and to the government of any State which has acceded to the present Convention any decisions relevant thereto which may be taken by the Committee of Ministers or by the Committee of Cultural Experts. Each Contracting Party shall notify the Secretary General of the Council of Europe in due course of any action which may be taken by it for the application of the provisions of the present Convention consequent on the decisions of the Committee of Ministers or of the Committee of Cultural Experts. In the event of certain proposals for the application of the present Convention being found to interest only a limited number of the Contracting Parties, such proposals may be further considered in accordance with the provisions of Article 7, provided that their implementation entails no expenditure by the Council of Europe. If, in order to further the aims of the present Convention, two or more Contracting Parties desire to arrange meetings at the seat of the Council of Europe other than those specified in paragraph 1 of Article 6, the Secretary General of the Council shall afford them such administrative assistance as they may require. the obligation of any person to comply with the laws and regulations in force in the territory of any Contracting Party concerning the entry, residence and departure of foreigners. The present Convention shall be open to the signature of the members of the Council of Europe. It shall be ratified, and the instruments of ratification shall be deposited with the Secretary General of the Council of Europe. As soon as three signatory governments have deposited their instruments of ratification, the present Convention shall enter into force as between those governments. With respect to each signatory government ratifying subsequently, the Convention shall enter into force on the date of deposit of its instrument of ratification. The Committee of Ministers of the Council of Europe may decide, by a unanimous vote, to invite, upon such terms and conditions as it deems appropriate, any European State which is not a member of the Council to accede to the present Convention. Any State so invited may accede by depositing its instrument of accession with the Secretary General of the Council of Europe. Such accession shall take effect on the date of receipt of the said instrument. The Secretary General of the Council of Europe shall notify all members of the Council and any acceding States of the deposit of all instruments of ratification and accession. Any Contracting Party may specify the territories to which the provisions of the present Convention shall apply by addressing to the Secretary General of the Council of Europe a declaration which shall be communicated by the latter to all the other Contracting Parties. Any Contracting Party may denounce the present Convention at any time after it has been in force for a period of five years by means of a notification in writing addressed to the Secretary General of the Council of Europe, who shall inform the other Contracting Parties. Such denunciation shall take effect for the Contracting Party concerned six months after the date on which it is received by the Secretary General of the Council of Europe. In witness whereof the undersigned, duly authorised thereto by their respective governments, have signed the present Convention. Done at Paris this 19th day of December 1954, in the English and French languages, both texts being equally authoritative, in a single copy which shall remain deposited in the archives of the Council of Europe. The Secretary General shall transmit certified copies to each of the signatory and acceding governments. “European Cultural Convention, CETS No. : 018”. Council of Europe. 18 January 2013. Stewart F., S. (1973). European Anecdotes and Jests by Kurt Ranke. Folklore, 84(1), 76–77. The ORCP is furnished documentations only for exchanging ideas among researchers, the use of which is all acknowledged. Any materials include in the ORCP may be copied only in accordance with the copyright terms and conditions of the owners. Any materials include in the ORCP may be used, modified or distributed must reproduce and retain the copyright notice and list of conditions as they appear in the source files. I received his B.S., M.S., and Ph.D. degrees in 1996, 2003, and 2006, respectively, from China University of Geosciences, Wuhan, China; Hefei University of Technology, Hefei, China; and Chinese Academy of Sciences, Hefei, China. From 1996 to 2006, I worked at the School of Computer Science and Technology, Huaibei Normal University, Huaibei, China, as a Lecturer and an Associate Professor. From January 2007 to August 2013, I worked at Wenzhou University, Wenzhou, China. I am currently a Professor at Communication University of Zhejiang, Hangzhou, China. I am the coauthor of more than 90 articles, which mostly were published in peer-reviewed journals.